Confidence & a comforting environment await you at Arizona Aesthetic Associates. With locations in Scottsdale and Phoenix, our patients gain more than just beautiful results. We aim to create a journey that is positive from start to finish. The shared experience and training of Dr. Repta, Dr. Andres, and Dr. LaBarbera forms a comprehensive and well-rounded practice. Cosmetic and reconstructive surgeries are our passion. Our top Scottsdale plastic surgeons are devoted to staying at the forefront of the plastic surgery field, always striving to give you the best plastic surgery Scottsdale has to provide. We specialize in the latest innovative procedures to complement your natural grace and beauty with minimal discomfort and interruption from your daily life. I am grateful that I was able to access a top Plastic Surgeon in breast reconstruction surgery, and a highly trained and skilled surgeon in the DIEP breast reconstruction procedure. 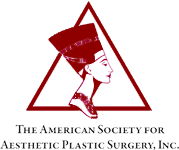 There are very few Plastic Surgeons that can perform one of the most difficult procedures in Plastic Surgery. Your face is your most significant distinction, at any age. We offer you the ability to recapture your youthful appearance. There are many surgical and non-surgical treatments available to help reverse the effects of aging. During your consultation, one of our doctors will be happy to discuss all facial rejuvenation options. Your body is your most significant distinction, at any age. Your breast is your most significant distinction, at any age. In today’s world, it is becoming more and more common to see men desirous of plastic surgery. Men have every right to take care of themselves. It’s seen as a matter of self-respect and taking pride in one’s body, and that’s nothing to be ashamed of. Here at Arizona Aesthetic Associates, we are happy to offer a wide array of procedures specifically built for the male physique. Our plastic surgeons in Phoenix, Scottsdale and Gilbert understand the importance of looking and feeling strong and masculine. Their charming personalities made going through a mastectomy & a reconstruction surgery almost a good thing. They did great work & I am very pleased with my results. "Everything worth doing is worth doing well, anything worth having requires hard work. I try to live by this philosophy and the idea of treating everyone with honesty, dignity and respect. I am grateful for all of the wonderful patients that have allowed me to be part of their surgery journey, to share in their transformations, and to learn from their experience." Dr Repta is world-renowned for his tummy tuck and body-contouring surgeries, including his work on complex hernia repair without the use of mesh. "What is best in me I owe to my family. The virtues instilled in me at a young age as well as my experiences with patients have cultivated my dedication, honesty, and compassion as a cosmetic plastic surgeon. I cherish the interaction with my patients and am privileged to care for and support them with the comfort and competence I will provide." Dr. Andres has specialized training in DIEP flap and other advanced breast reconstruction options. "I wanted to make sure that I could give my patients the best possible results and have gone above and beyond to train extensively in primary, revision and reconstructive surgery. This allows to provide individual treatment plans for each and every individual no matter the need from the patient. I know that it is a privilege to help my patients and look forward to providing them with amazing results every time." Dr. LaBarbera has specialized training in DIEP flap and other advanced breast reconstruction options. This surgery is an option for women who have undergone mastectomies or are dealing with congenital defects. Our goal is to grant symmetry between the breasts. We strive to match the form and feel of a natural breast as intimately as possible. With the very best in nonsurgical, no-downtime rejuvenation, our calming MedSpa can help you look your most radiant. Unfortunately the signs of age tend to reveal themselves eventually. Cosmetic surgery, while an excellent opportunity for some, may not be the right option for others simply due to the fact that they don’t require surgical intervention. There are plenty of treatments available that can assist you to look and feel your most refreshed without surgery. In the complex and diluted world of non-surgical treatment, you benefit from the guidance and expertise of our accomplished plastic surgeons. Our MedSpa services are available at both of our cosmetic surgery practices, located in Phoenix and Scottsdale.